Feel guilty about drinking a beer or two? Don’t feel guilty. Contrary to what you might expect, moderate beer consumption is actually good for you. Science has shown that it can bring many surprising health benefits even though it’s usually perceived as unhealthy. It is a very good source of certain minerals that play essential roles in various metabolic processes. If taken in moderate quantities, it can definitely boost your health in a number of ways. 1. Prevenst Anemia – It is a good source of vitamin B12 and folic acid, a deficiency of which may lead to anemia. Vitamin B12 is also essential for maintaining normal growth, good memory and concentration. 2. Protects from Kidney Stones and Osteoporosis – It has been found to be high in potassium and low in sodium. It is a rich source of magnesium, which results in a reduced risk of kidney stones. The silicon present in it is also readily absorbed by the body, further explaining the protective effect of beer against osteoporosis. 3. Powerful Re-hydration Source – According to some researches, drinking a glass of ale after an exercise is more powerful re-hydration then drinking a glass of water. Still drinking beer will return some calories lost during exercise unlike water. Arnold Schwarzenegger says that after every workout he always was drinking beer! 4. 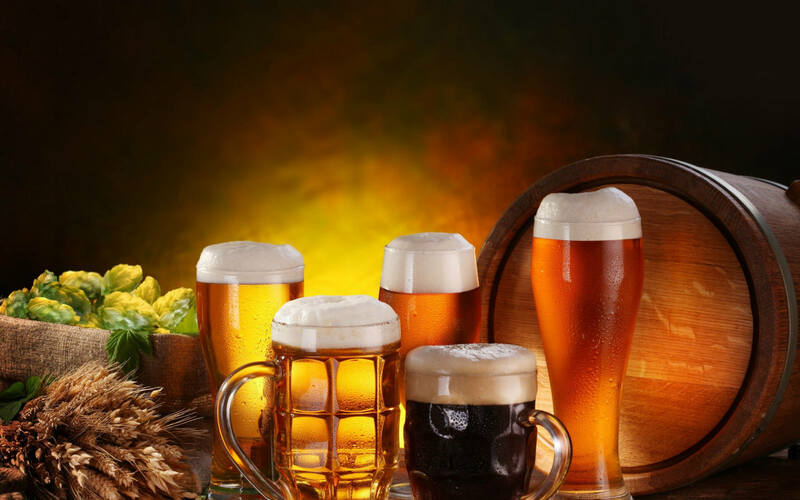 Prevents Coronary Disease – According to recent studies drinking beer reduces the risk of coronary heart disease by 30%. This heart-protecting power of beer stems largely from beer’s natural antioxidants called phenols. According to experts man’s ideal dosage is two glasses of ale and one for women to achieve this effect. 5. Lowers High Blood Pressure – You may also be interested to know that beer can help manage blood pressure. That’s according to a Harvard study that found that women aged 25 to 40 who drank beer moderately were significantly less likely to develop high blood pressure compared to women who drank wine or other alcoholic beverages. 6. Prevents Gallstone Formation – Regular consumption of moderate amounts of beer affects the cholesterol levels and decreases bile concentration, leading to a reduced risk of developing gallstones. 7. Aids the Bone Health – Beer contains decent levels of silicon, an element that is linked with bone health. One study conducted at Tufts in 2009 established that older individuals who drank one or two glasses of beer daily had higher bone density, and thus were less prone to fractures than those who did not enjoy a glass of beer or wine. 8. Lowers the Risk of Developing Diabetes – This is another remarkable benefit of moderate ale consumption. According to a 2011 Harvard study of about 38,000 middle-aged men, those who drank one to two beers daily had a 25% reduction in the risk of developing type 2 diabetes. The alcohol content in it increases insulin sensitivity, which helps prevent diabetes. Moreover, it is a good source of soluble fiber that plays an important role in the healthy diet of people suffering from diabetes. 10. Protects from Cardiovascular Diseases – Contains vitamin B6, which protects against heart diseases by preventing the build-up of a compound called homocysteine. It has a thinning effect on the blood and prevents the formation of clots, which cause blocks in the coronary arteries. Moderate beer consumption also reduces the risk of inflammation, the root cause of atherosclerosis, which is cholesterol and plaque building up on the blood vessels and artery walls.